24/7 Emergency Locksmith In Pflugerville Texas - Get Help Fast! 24/7 Emergency Locksmith In Pflugerville Texas - Get Help Fast! We can take care of all of your emergency locksmith services in Pflugerville Texas.We understand that emergencies can happen in the middle of the night on weekends, as well as in the middle of the day on a weekday. You can rely on one of our mobile units to be at your property within 30 minutes or less from the time you request our emergency locksmith assistance. You do not have to worry about being stranded if you lock your keys inside of your car. 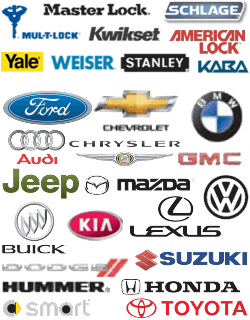 A car lockout is one of our specialties. You also don’t have to worry about home lockout or office lockout emergencies. Our team is always just a phone call away 24-hours a day. The first thing you need to do to ensure everyone’s safety is to contact the Pflugerville Police. Then you can contact us for quick and affordable lock assistance. And we can even evaluate your property and provide honest and dependable advice on the best ways you can upgrade and improve your security. If your home or commercial locks have been tampered with, we can help. We understand the fear that can come after an intruder has broken into your property. We will be there for you at any hour to make sure that your home is protected. We can change, rekey, or upgrade your locks so that your property will be as safe and secure as possible. Our locksmiths can help you to have first-rate locks that will be hard for any burglar to tamper with. We can install cylinder locks, mortise locks, digital locks, keyless locks, and more depending on your unique needs and budget. It is vital that you choose a local locksmith who will be able to get to your location quickly whenever you are dealing with a lock issue. We enjoy providing fast services, and you can trust us to offer reliable results since we have years of experience in this industry. You can feel good about hiring us because we have worked hard to earn an excellent service record. It is necessary to hire a company with licensed, insured, and bonded professionals providing reliable services. You want to know that you can count on your locksmith to arrive in a timely manner and to have the right tools and equipment for the job. We understand that there are many different types of emergencies. Imagine not being able to get into your mailbox, cabinet, or toolbox when you need to. We can help you open these locks and much more. From filing cabinets to different types of safes, our team can help you out when you are in a jam. Whether you need burglary damage repair services or need assistance because you cannot unlock your trunk, we have a locksmith standing by to help. When you need a reliable mobile locksmith, contact us for fast and friendly services. Pflugerville Locksmith Pros is a company that you can rely on, so choose us for all of your emergency locksmith needs. Emergency https://pflugerville-locksmith.co/emergency/ 3.9/5 based upon 37 reviews.